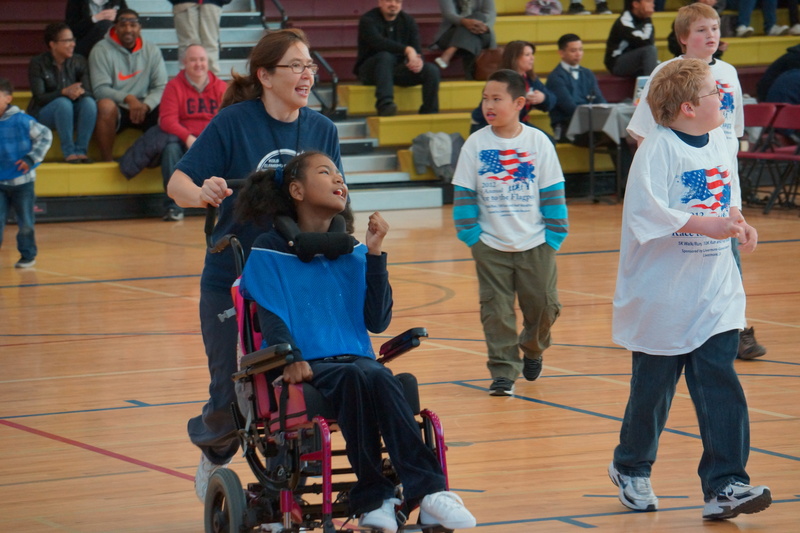 Fallon Middle School students experienced something special Friday morning at a Special Olympics Northern California event that celebrated sport, and unified disabled and non-disabled students. In the events on Friday, students competed in both skills competitions and game play, showcasing their basketball skills. 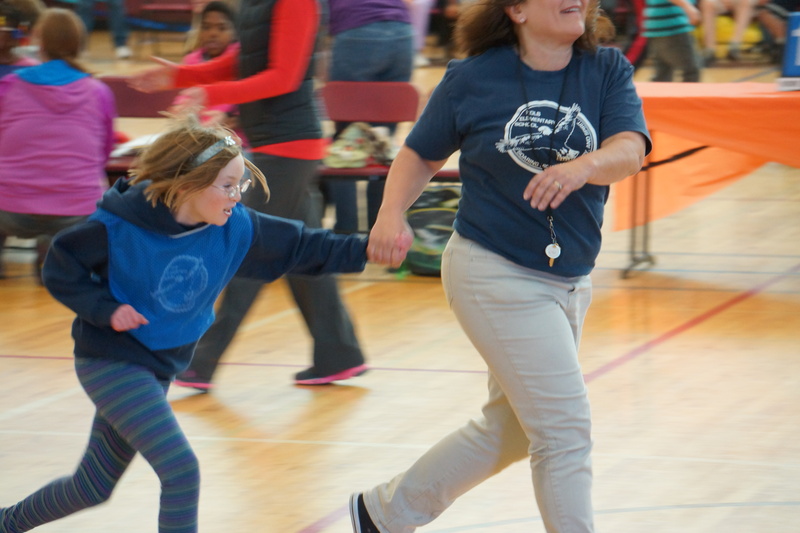 By having the program take place during the school day, Fallon students filled the stands, took on leadership and volunteer roles, and cheered on the participants. 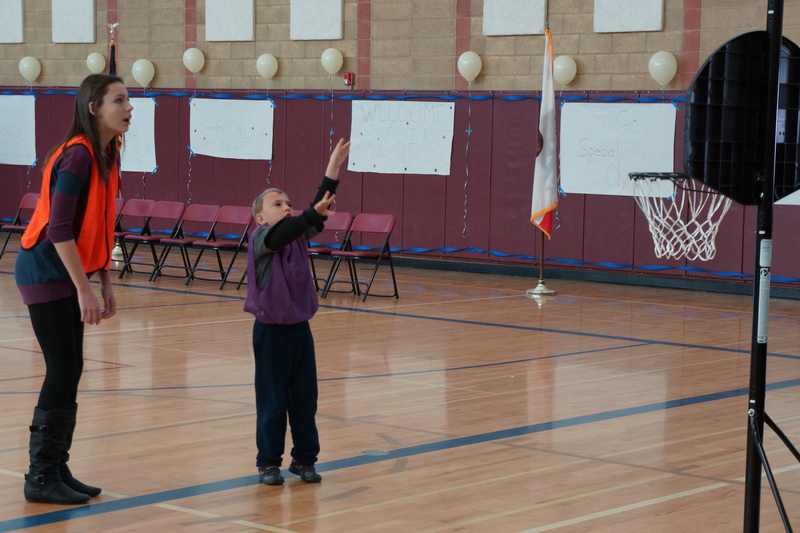 The Dublin Unified School District and Special Olympics Northern California have partnered to provide special day class teachers and their students the opportunity to participate in three different sports during the school year. 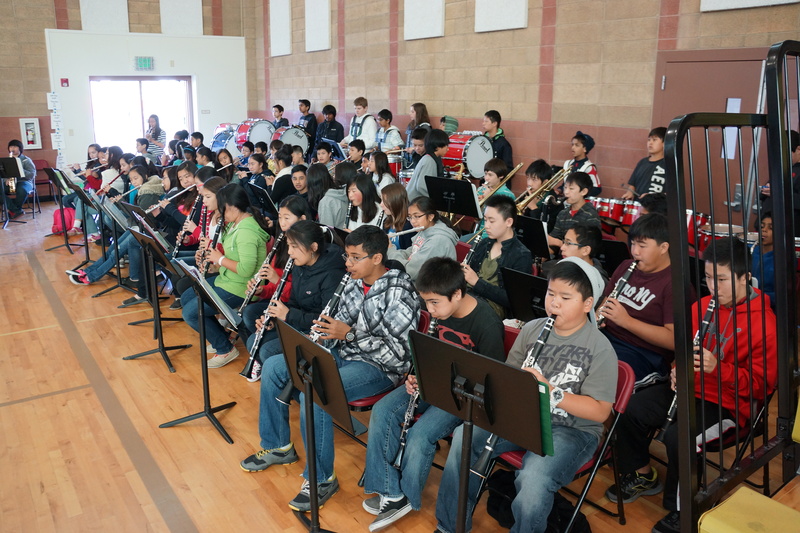 The Fallon Middle School Band, Fallon Leadership, and Physical Education Department and classes supported the event. 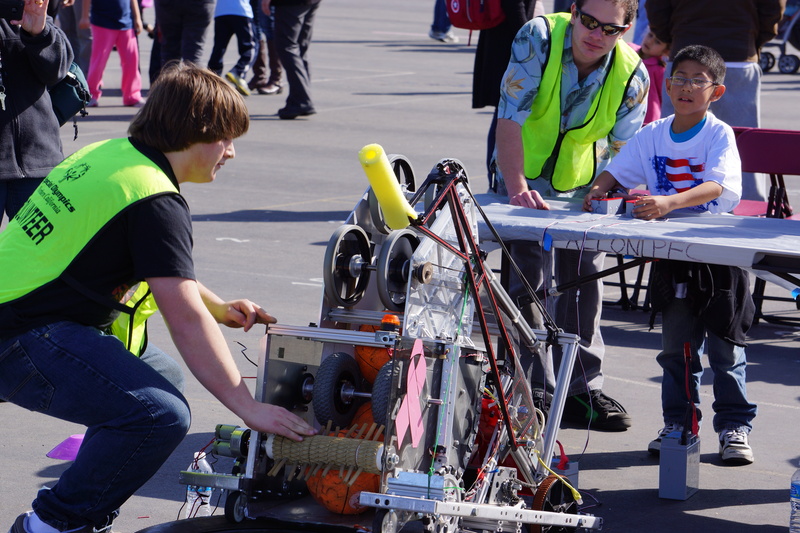 Members from the Robotics team at Monte Vista High School in Danville provided an elaborate robot to assist students with limited abilities / mobilities shoot baskets and participate in the event. Earlier this year, Dublin High School Robotics Club students developed a robot for a Special Olympics event held at Dublin High School. 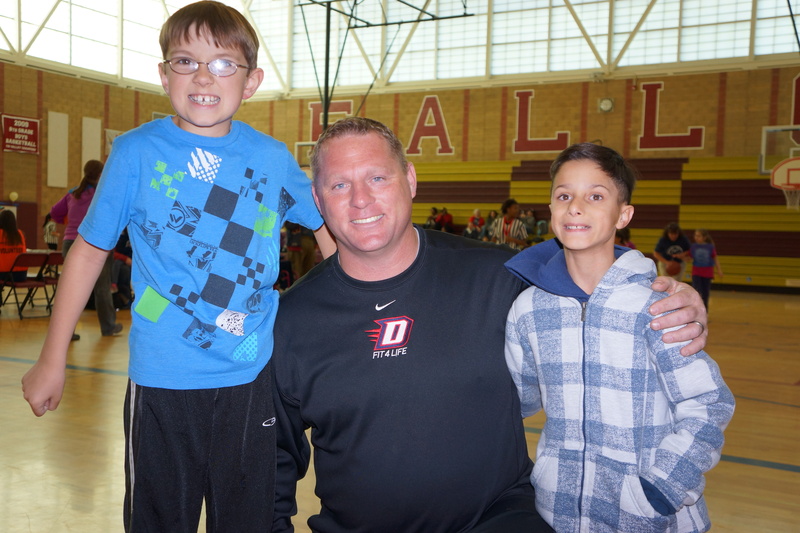 According to Dublin Unified School District Adapted Physical Educator Eric Hamilton, “Special Olympic events encourage students, staff and community members to take part in celebrating the gifts and abilities of individuals with special needs. The program helps build a community that identifies each individual as having something special to offer and allows for students to show leadership in their schools. Developing an awareness and acceptance of all students no matter their ability or disability is what this event is truly about. “I believe there is so much more acceptance and access for students with special needs these days, and this event is a perfect example where students are given a chance to shine and show they have skills to offer the world. Everybody has something to offer. 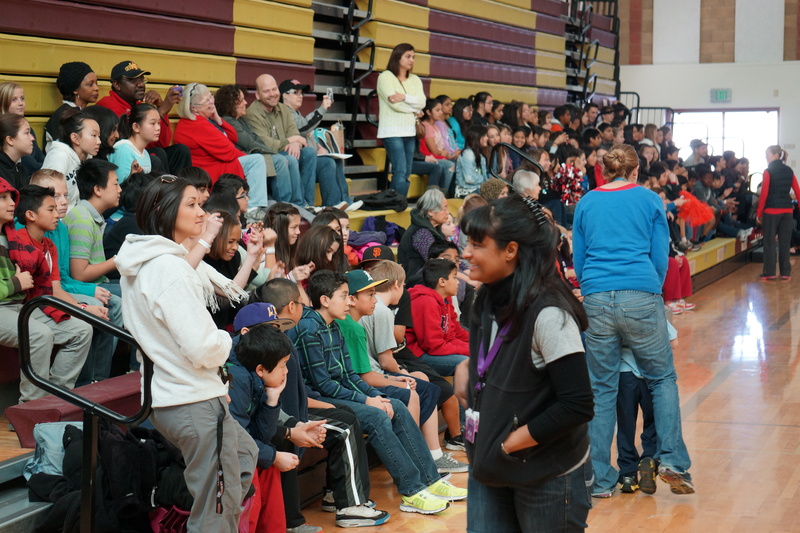 The event was open to K-5 students with special needs in the Dublin Unified School District and Livermore Valley Joint Unified School District. 92 students with special needs participated.